Fortunate is the man who can claim membership in the clan of the great Scottish patriot William Wallace. 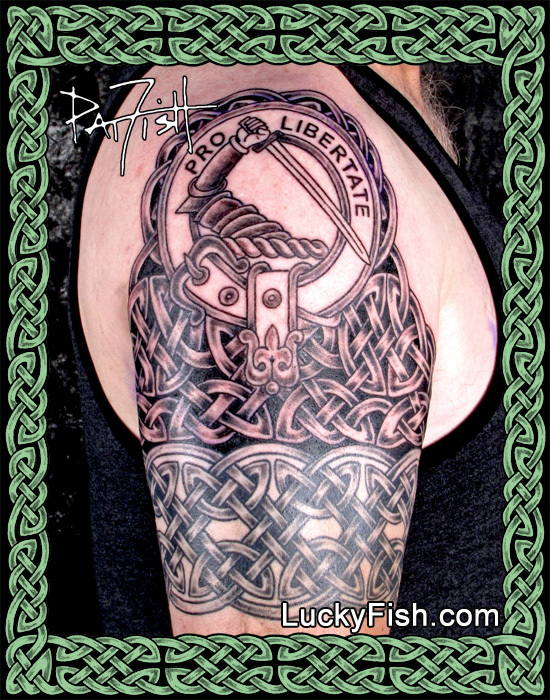 This client came in earlier this year for the Celtic band on his arm, and today we created a custom knotwork background to fit above the band, to surround and embellish the Clan Wallace badge. Now he is significantly tattooed, with a half sleeve that demonstrates his own tribal roots.